Dealing with opinions of fans and media is an occupational hazard for players. Having personal judgement passed by match officials, however, is not something Brendon O’Connor would have anticipated on his return to action last week. Scorer of two tries in a rollercoaster match against reigning champions Saracens, O’Connor will feel he was denied a try and a potential hat-trick by the joint ruling of referee and television match official. When Sarries replacement Ben Earl pawed at a pass from Gareth Owen intended for O’Connor, the home crowd was baying for a penalty try and yellow card. 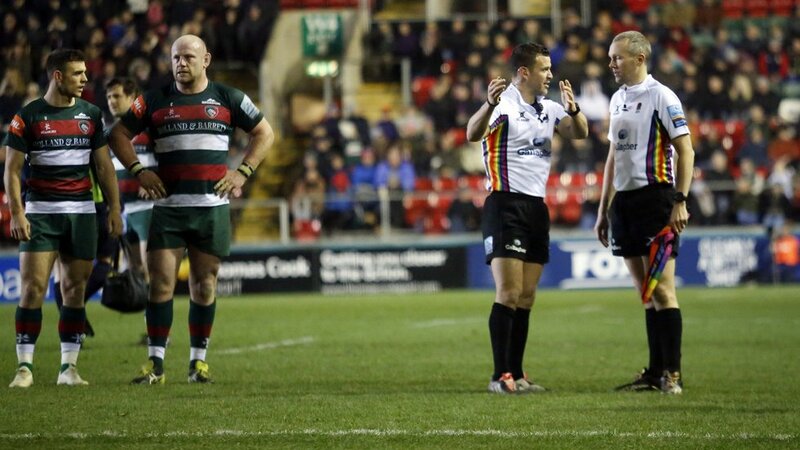 After blowing his whistle, referee Karl Dickson started his conversation with the TMO by asking if the ball had definitely gone forward, at which point The Tig thought it was a process of ticking boxes towards the ultimate decision of a seven-pointer. Yes, the officials were satisfied it had gone forward – they could have saved time by asking anyone on the terrace who had already made up their minds – but, unlike the crowd, they said ‘no’ it was not a penalty try. In the opinion of the officials, the incident was “too far out” to say that a try probably would have been scored. If you were Brendon, you could take that personally. He was 25 metres out – about half the distance of his debut score against Stade Francais a couple of years ago. Surely, you’d argue, he’s not lost half of his gas in that time. By that stage we’d already seen two Tigers attack end over the tryline without convincing the officials they had scored. There would be arguments, too, that a goalline interception from an offside position by Alex Goode denied a scoring opportunity. But you cannot keep coming out on the wrong side of those big moments and still topple a team unbeaten since last April. We all accept that it just doesn’t go for you sometimes and also that it is not all down to bad luck. Sarries are champions for a number of reasons, including knowing how to win tight games, being clinical in attack and rarely giving up anything as a defensive unit – all qualities they showed at Welford Road where they ran in three tries in a six-minute spell, all from inside their own half of the field. But in desperate need of a win, Tigers could have done with any of those moments swinging in their direction. Or perhaps Brendon just has to warm-up closer to the referees and work harder on getting recognition for his flat-out pace.